What would you do if you woke up one morning and found a huge and lonely elephant at your door? An elephant with a letter hanging from its ear, saying: "My name is Dailan Kifki, and I beg you not to be alarmed at the fact that I'm an elephant..."? Well, you would probably adopt him too, wouldn't you?But when Dailan Kifki falls ill and ends up at the top of a tree, only the fire brigade can get him down. 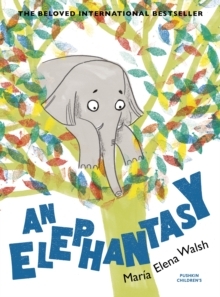 Unfortunately, the fireman who arrives seems more interested in flying away with the elephant than bringing him back to earth... And so a charming, surreal and very funny adventure begins, complete with fold-up forests, a grumpy dwarf, an unhelpful brother and a highly suspicious umbrella.